Today, 6th March, we commemorate the 200th anniversary of the arrival of John Keats in Teignmouth. He came to look after his brother Tom who was suffering from TB and arrived here after a three day coach journey from London in which he apparently had an outside seat and had to endure torrential, stormy weather. The rain continued for six days after his arrival and did not endear him to the town or Devon. 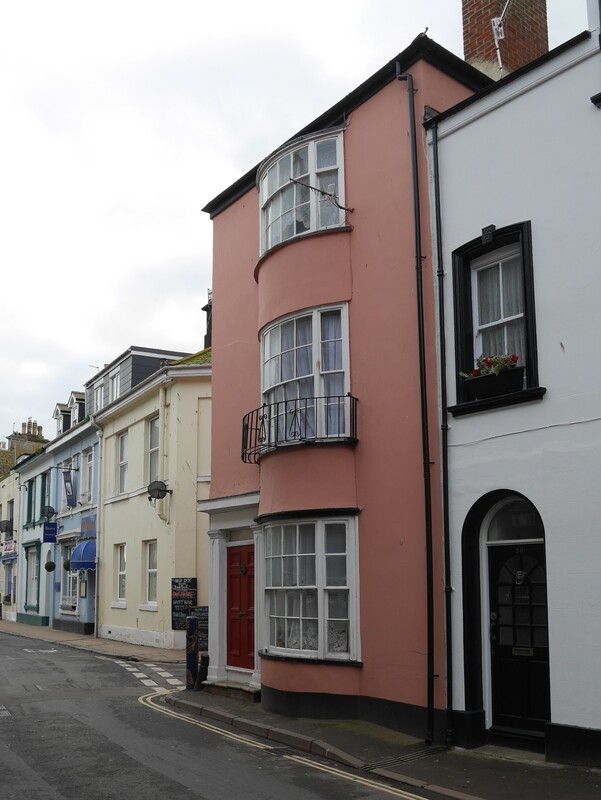 Teignmouth will be marking Keats’ stay in the town at its Poetry Festival from 16th to 18th March. 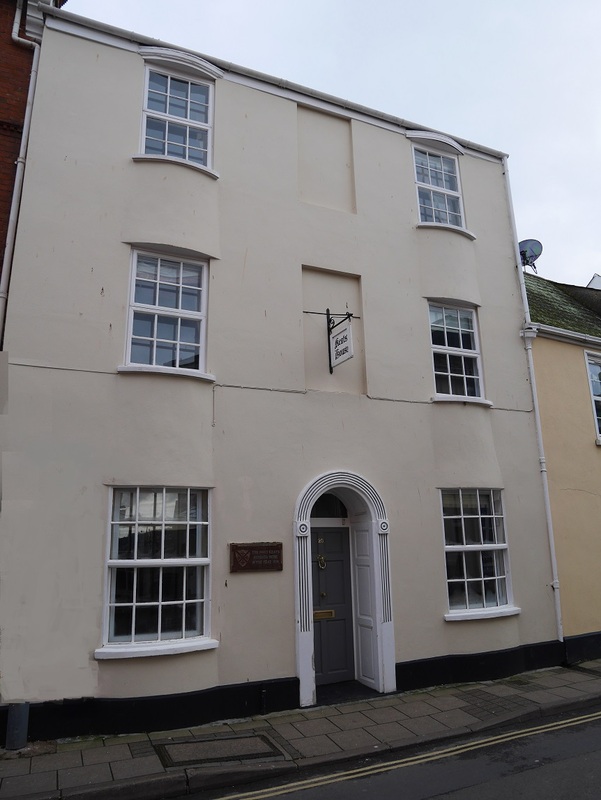 As part of this I will be leading a “Keats Walk” around the town imagining the Teignmouth of 1818, getting inside Keats’ head, seeing him through the eyes of others …… and exploring the question of where he actually lived when he stayed here. You would think that Keats’ address would be beyond doubt; after all there is a house in town, at 20 Northumberland Place, with a plaque outside declaring it to be “Keats’ House”. However, there has been debate amongst locals for over 100 years about whether this was the correct address or whether in fact John Keats and his brothers stayed at the pink bow-windowed house on the opposite side of the street at No 35 Nothumberland Place. A cursory glance at a biography of Keats doesn’t provide corroborative evidence one way or the other. So I have set out to track down and document what evidence there may be from various sources and how these have been interpreted. Can we put an end to this long-standing contoversy or will it remain a point of dispute? This entry was posted in Keats and tagged John Keats, Northumberland Place, Teignmouth poetry festival on March 6, 2018 by pherecrates1. Thanks Viv. It’s certainly teaching me a lot as I go back through the archives. I’m hoping that it might also show that, although Keats was here for only a couple of months, the time he spent here was somewhat of a turning point in his life. 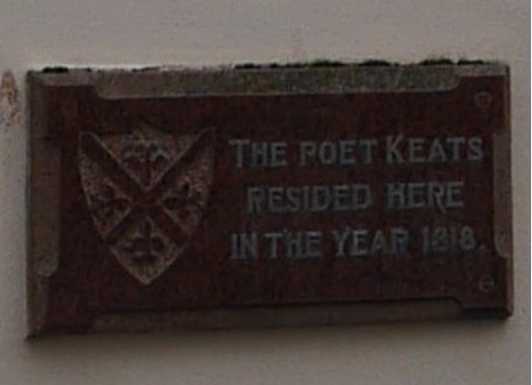 Which year(s) was Keats in residence? Have you looked at Census records – available on line? Hi Janice. Keats was here in Teignmouth in 1818. I have looked at census information as far back as I can get on-line, which is 1841. If you can get access to the 1811 or 1821 censuses that would be great. They won’t show Keats but they should show whether there were properties in the area that Keats was supposed to have lived in and who was there – both of these feature in the ‘investigation’ as you’ll see as it unravels over the next week or so. I just came across your site while “googling” Teignmouth to see how the recent storms had affected the area. I am an old Teignmouth Grammarian, living in Canada. My History master despaired of me – and you can see why! Keats was there before the national census started. Was the Jeffery family there for many years? Or are they fictitious? I will keep watching – but refrain from commenting until or unless I have something provable to add! Thanks Janice. Anything provable would be great as you’ll see from the next post that there is a lot of speculation to sort through!